The fifth IndyCar Wrap-Up will be the lovable minnow Dale Coyne Racing. Again the team performed at an exceptional level with a fraction of the budget. While the team was not able to stay in the championship conversation for long, it put Sébastien Bourdais in the top ten and it gave three young drivers extended auditions in IndyCar. The Frenchman returned to full-time competition after his 2017 season was interrupted due to injury. 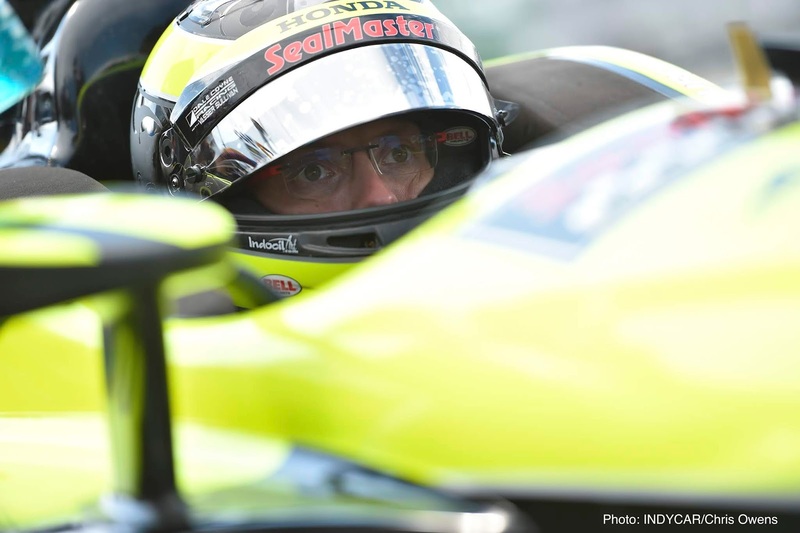 Bourdais was competitive once again but keeping up the pace for the entire length of the season proved to be difficult. What objectively was his best race? St. Petersburg. He won, from outside the top ten on the grid, again! This might have been the most fortunate victory of Bourdais' IndyCar career. For a man with 37 career victories, I am not sure he has had a victory gift-wrapped like this one. He was in the right place when Robert Wickens and Alexander Rossi got together and the door opened for the Frenchman. He slid on pass the two and ended up on the top step of the podium and while it seems he backed into this one, he led 30 laps. Once again, he and Dale Coyne Racing played the strategy correctly and got the car in a position where Bourdais could he seized an opportunity when two drivers got together. What subjectively was his best race? Victory aside, it is Mid-Ohio, where Bourdais went from 24th, dead last on the grid, to sixth in a caution-free race. He picked people off with a three-stop strategy and he was a man on a mission. It had been a rough patch for Bourdais. The summer was not kind to Bourdais and when he needed a result the most he caused a red flag in qualifying, was forced to start shotgun on the field and it seemed Mid-Ohio was not going to be his race and he would head into the summer break continuing the slide. But Bourdais had the race of his year and he finished fourth at Pocono after that, Gateway didn't go his way but he ended the season with a third at Portland and sixth at Sonoma. He went from 11th in the championship entering Mid-Ohio to seventh in the final standings. What objectively was his worst race? Indianapolis. He retired after an accident when he started in the top five. Bourdais was in contention for a top ten finish. It was a missed opportunity after a year of waiting. What subjectively was his worst race? It is Indianapolis. Consider that he entered the race third in the championship and that accident dropped him to eighth. That took him out of the championship. It would have been difficult and a lot of things went against him in June and July but the double points nature and the timing of the Indianapolis 500 can really set up or breakdown a championship run. A dishonorable mention is Phoenix, where Bourdais started on pole position and led the first 43 laps before he overshot his pit on the first stop and clipped a crew member, adding a penalty to his plate and Bourdais could not get back into the race and 13th was what he had to settle for. The Canadian made his IndyCar debut in the 2017 season finale but 2018 was a larger opportunity for Claman De Melo and while his schedule did not go as planned; he adjusted and had a few good days. He finished 12th in the Grand Prix of Indianapolis and Claman De Melo was competitive for most of that race. He went from 19th to 11th in the opening lap after a handful of drivers got together and he was in contention for a top ten and was tenth but he had to save fuel and dropped to 12th. Others are going to say Barber because he was racy but he was also racy when two laps down and had nothing to lose. He set fastest lap but he really didn't have a choice. Everyone else was running for position while Claman De Melo had no other choice but to go all out and hope a few cautions got him back on the lead lap, which didn't happen. The Indianapolis 500 wasn't a bad race for Claman De Melo. He held his own and led a few laps during a pit cycle but he finished 19th in car #19 completing 199 laps and that isn't bad for a rookie considering he did started 13th. Long Beach. Retired after an accident and was scored with a 23rd place finish. Texas. Claman De Melo might have been overly aggressive that night and he got together with Will Power in what was more of a racing incident than anyone's fault but he didn't help himself. He stayed on the lead lap for most of this race and was in another fight for a top ten finish. The night didn't end the way he likely had hoped. 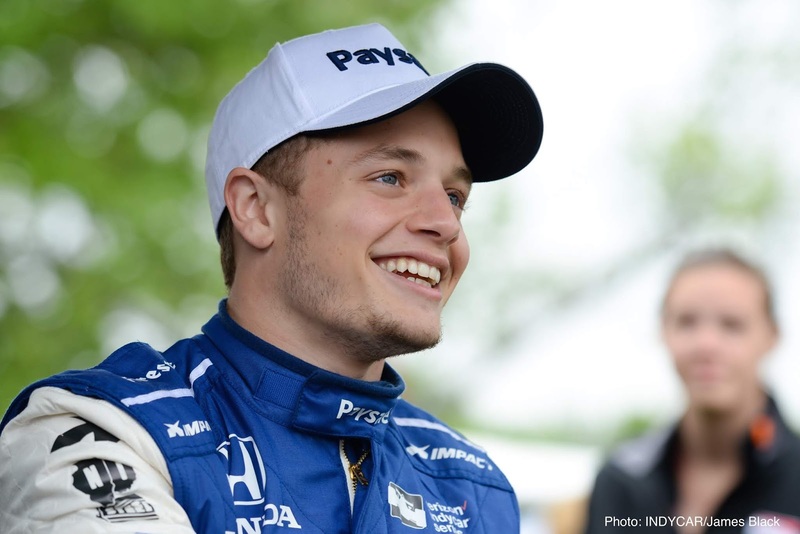 A last name linked to IndyCar success returned to the grid in 2018 and Emerson's grandson quickly found his footing in the series. 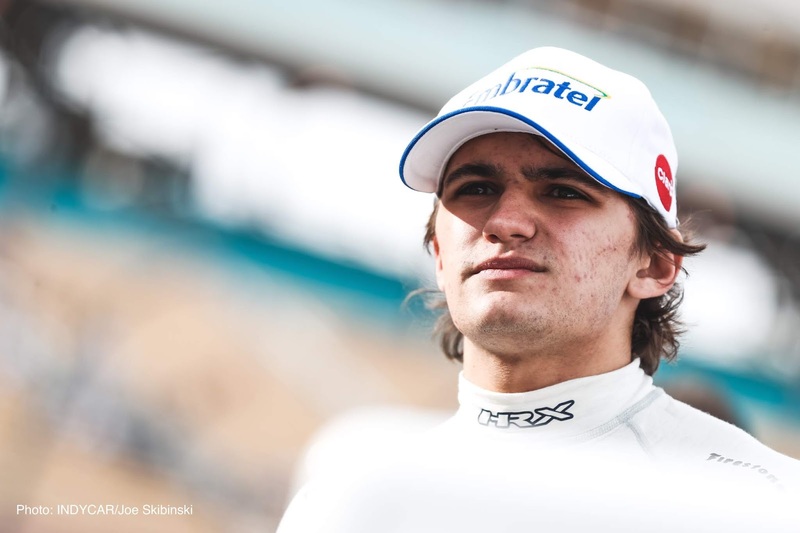 It was going to be a multi-discipline year for Fittipaldi with an LMP1 sports car ride and Super Formula filling weekends when he was not in IndyCar but those plans were quickly altered when he was injured at Spa-Francorchamps at the start of May. The good news is he returned to IndyCar and still showed a bit of what he was capable of. Portland! Fittipaldi started 16th but through Dale Coyne Racing strategy magic and a handful of cars getting taken out early he was fighting for a top ten and ended up finishing ninth. The entire Coyne team had shown pace that weekend and it didn't work out in qualifying for Fittipaldi but in the race he was able to make the most of it. Gateway. He had to start 21st because qualifying was rained out but he went off strategy and it got him some track position. More importantly though, Fittipaldi finally had a good race. His previous three starts were finishes of 23rd, 23rd and 22nd and two of those were retirements with 40 laps and six laps completed. He was still banged up from his sports car accident at Spa-Francorchamps. He needed a race where he not only completed laps but was fighting with other cars and Gateway was that race. He had two finishes of 23rd, Phoenix and Mid-Ohio. I will say objectively Mid-Ohio was worse because he started 22nd and finished 23rd though he completed 88 of 90 laps but this was his first race back after missing all of May, June and July due to injuries. It seemed like Fittipaldi was not fit for this race and he came back a race too soon. Phoenix because Fittipaldi started tenth on debut and it was over after he brushed the wall exiting turn four on lap 40. And then he was out of the car until the final Sunday in July. He came in and was exciting and then went away for three months and was a bit of a forgotten man. Ferrucci was not an expected member of the 2018 IndyCar grid but Fittipaldi's injuries open the seat for a few races and it allowed the Haas F1 development driver a chance to get a taste of IndyCar. Another cameo came later in the season after Ferrucci had a tumultuous end to his Formula Two career. Ferrucci finished 11th at the Sonoma finale after he started 20th and he was in the same zip code as the other Coyne cars that weekend. He started a bit further down the order but he made some progress. I think Sonoma was subjectively his best race but I will mention Portland because he was running well before his car broke down. Portland was another weekend where he was on par with Bourdais and Fittipaldi and all three cars looked dangerously competitive. He had worked his way up to fifth before breaking down. I don't think he was going to finish in the top five but he could have snuck into the top ten. His debut, where an accident in the first Belle Isle race left him with a 22nd place result. I am going with his debut again. Ferrucci was keeping up with Bourdais at Belle Isle and he was likely going to finish in the top 15 had it not been for his trip into the turn seven tires. It appears this team will be Bourdais and Ferrucci next year. We are going to tackle this head on: Ferrucci is not a popular guy after his Silverstone Formula Two debacle where he hit his teammate on a cool down lap, allegedly mocked his Formula Two teammate's accent, missed a drug test and then used his Italian heritage and the fiery personality stereotype to justify his actions. He came out of the entire ordeal looking like a schmuck and he is a bit of a schmuck. With all that said, I think Ferrucci could be competitive with Coyne next year and he could be the teammate Bourdais has been looking for. I think he could be scoring top ten finishes on a frequent basis next year and he could easily be a driver that gets out of the first round of road/street course qualifying on five or six occasions. We don't know how he will do on ovals but I think he could mirror what Jordan King did last year on road and street courses. We had a sample of Ferrucci in IndyCar and he didn't look lost. He got a grasp on it quickly. Does that mean you have to like the guy? No and I have said it before, there is room in IndyCar for somebody not to like. Sidebar: The 2019 rookie class is setting up to be an intriguing battle with European developed drivers in Ferrucci and Felix Rosenqvist against Road to Indy graduates Patricio O'Ward and Colton Herta, though both O'Ward and Herta spent time in Europe, most of their development occurred in the Road to Indy. We could still have a few more rookies announced but it would not surprise me if Ferrucci finishes second among the rookies. Bourdais is Bourdais. He is going to be fighting for victories every now and then and Coyne is Coyne and there will be a few races where the team is off. I think seventh in the championship is a great achievement for the team even though he was third in the title race for most of the first third of the season. Can Coyne take that next step? It is difficult. Let's consider that since reunification the only teams to win the championship are Chip Ganassi Racing, Team Penske and Andretti Autosport. If you extend that to since 2003 in this series the only teams to win the championship are Ganassi, Penske and Andretti. Rahal Letterman Lanigan Racing was in the thick of the title fight in 2015 with Graham Rahal. Josef Newgarden had a slim shot at the title that year with CFH Racing as well. The year prior Simon Pagenaud had a slim shot at the title with Schmidt Peterson Hamilton Motorsports. It is not impossible for Bourdais and Coyne to make a title push but he has to be on it every week and cannot afford a string of bad results like we saw where he had one top ten finish in a seven-race stretch from the end of May to the middle of July. As for the other two Coyne drivers, we aren't sure what their future's hold. Claman De Melo has kind of become the forgotten man of the 2018 season. I bet most people would not realize he made nine starts this season. His season was over in July. He is going to fall victim of being out of sight and out of mind. I am not sure where his place in IndyCar will be. Fittipaldi on the other hand might be the sleeper free agent. He was quick and the last part of the season he was still hampered with injuries. We saw him 100% fit for one of his six starts. He got a handle on ovals out of the gate. There aren't many open seats left but I think Fittipaldi should be high on most teams' lists. We are halfway through October, the offseason is only a month old and 20 seats for 2019 are filled. 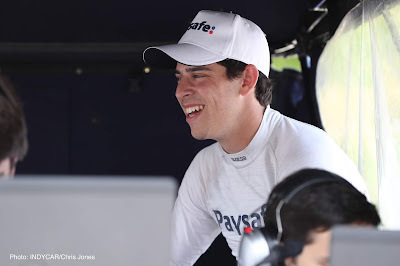 The only unconfirmed seats are the second Carlin entry, the second Schmidt Peterson Motorsports entry with Robert Wickens' timetable for returning still unknown and the road/street course portion of the #20 Ed Carpenter Racing Chevrolet but it seems like Ed Jones might have the ECR seat. Fittipaldi would fit all of those. A full-time seat will be hard to come by and that leads to the question will Fittipaldi run another partial season or will he look for a full-time ride elsewhere whether it is sports cars or touring cars on another continent? Fittipaldi has a lot of options. Fittipaldi could turn out to be the free agent Dale Coyne Racing shouldn't have let get away.